In a medium bowl, combine all ingredients, except the bacon, and mix well with a fork. 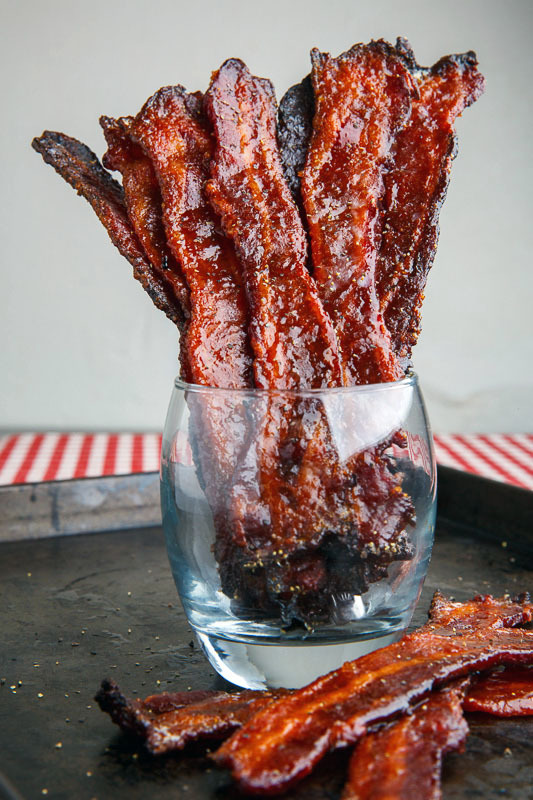 Take a package of bacon, cut the slices in half, and place them on a cooling rack placed on foil lined cookie sheet. Bake at 375F for 20 minutes in oven or on grill. Flip over and apply the rest of sugar mixture. Finish baking until the bacon is crispy but not burnt. 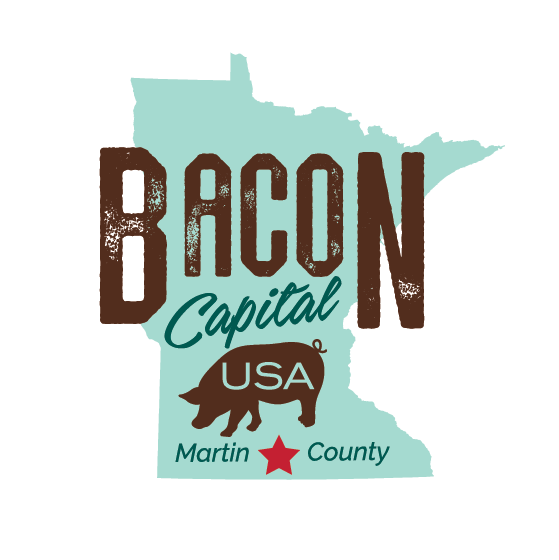 Time will vary based on thickness of bacon. Check frequently as sugar will begin to burn if left in too long. Let cool for a little bit and enjoy! Combine dry ingredients in medium bowl. In small bowl, whisk together eggs, almond milk and melted butter. Add wet ingredients to dry ingredients and stir well. Let sit for 3 minutes, then form into 12 tightly packed balls. Heat about 1 inch of oil in heavy bottomed pan until oil reaches about 350˚F. Fry donut holes for 1 – 2 minutes per side or until golden brown and cooked through. Remove to paper towel to drain any extra oil. Cool for at least 5 minutes. Right before serving, add donut holes to large bowl and pour caramel over top (heat gently if necessary to thin out consistency.) Stir gently until all donut holes are coated in caramel. 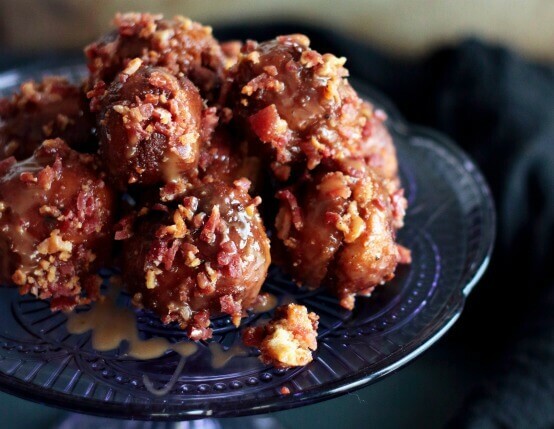 Spread chopped bacon on a flat plate, then roll caramel coated donut holes in chopped bacon. Serve warm. Add bacon to medium sauté pan and cook until crisp. Remove bacon to paper towel-lined plate and set aside. In large bowl combine apples, lemon juice, cinnamon, brown sugar and cooked bacon. In medium bowl combine cream cheese, powdered sugar and vanilla. Remove biscuits from tube and space out evenly on prepared cookie sheet. Use bottom of a can to press down each biscuit until flattened and a shallow impression is formed for filling. Place 1/4 cup of filling on each biscuit and top with heaping tablespoon of cream cheese mixture. Bake for 18-24 minutes, or until edges of biscuits begin to turn golden. Remove and place cookie sheet on wire rack to cool, about 10 minutes. While Danishes cool, prepare glaze by combining milk, powdered sugar and vanilla in small bowl; mix until smooth. 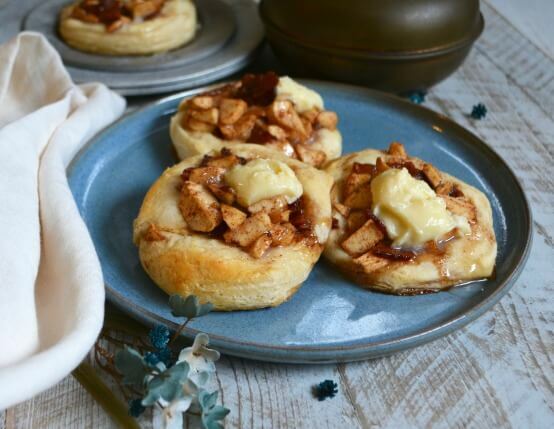 Use a fork to drizzle glaze over biscuits and serve immediately.